Do You Want the Best Smile of your Life? if you want $90 OFF Exam & Digital X-rays. Originally developed for neurosurgery, computer guided implants have been in the dentistry community for years, working off of a very specific method to bring you the benefits we’ve outlined today. If you’re considering getting computer guided dental implants in Norman, this is what you need to know. Dental implants require a perfect placement along your jaw bone for maximum effectivity, and to increase the chance of being accepted by your gums. While the acceptance rate for dental implants is around 95%, computer guided implants are able to cut-out human error and increase those odds. Being able to visualize your jaw bone and mouth structure through analytical programs allows us to come to conclusions easier. Dental implant surgery depends on a variety of factors, from your gum health to the number of implants. However, with computer guided dental implants, the time for placing them is greatly reduced, allowing for less time spent in the chair, and less irritation to your gums. With less irritation to your gums through precise technology, they’re not only more likely to be accepted by your gums, but also reduce your overall recovery time. Dental implants can take months to fully heal without tenderness or soreness, but with computer guided dental implant technology, we’ve seen reduced average time spent in recovery. This is especially useful when receiving multiple dental implants at a time. Speak with our friendly staff! Our experienced team will provide you with the confidence of a healthy, unforgettable smile, while making your comfort our priority. When someone loses teeth, it’s only natural to want to find a replacement as soon as possible. Missing teeth can trigger many other health complications. Our office offers free consultations to help determine if dental implants are right for you. What is the secret to making a great impression? We use our CEREC® IntraOral Scanner to ensure that the impressions we take are accurate, efficient, and comfortable every time. Our patients love us! Read what they have to say below. Dr. Jim Spurgeon received a Doctorate of Dental Surgery at the University of Oklahoma College of Dentistry in 1988 and has more than 30 years of experience as a dentist. He is among only seven percent of general dentists who have achieved Fellowship in the Academy of General Dentistry, which requires more than 500 hours of educational courses in various disciplines, as well as passing a rigorous exam. He is also a member of the American Dental Association, the Oklahoma Dental Association and the United States Dental Institute. Dr. Spurgeon has received advanced training in placing and restoring implants using 3D technology, as well as cosmetic dentistry, restorative dentistry, oral surgery and Invisalign to provide cutting-edge dental care to all of his patients. His goal as a dentist is to change lives one smile at a time. Dr. Brett Leemaster received a bachelor’s of Science degree from the University of Oklahoma in 2003 and his Doctorate of Dental Surgery from the University of Oklahoma College of Dentistry in 2007. Before joining Smile Solutions in 2008, he was one of only six dentists selected to participate in the university’s prestigious 2007 Advanced Education in General Dentistry program, where he spent an entire year focusing on implants, oral surgery and cosmetic dentistry. Dr. Leemaster uses innovative 3D technology to place and restore implants and focuses on creating smiles his patients can be proud of through continuous training in cosmetic dentistry, digital dentistry and Invisalign. 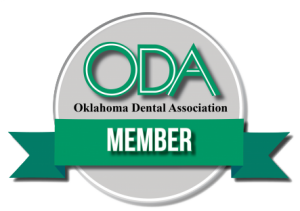 He remains active in the ever-evolving dental field and is a member of the American Dental Association, the Oklahoma Dental Association and the Academy of General Dentistry.